However, wood rots, and metal rusts, and when they're installed on your home, they quickly begin to fall apart. Once installed on your crawl space entryway, they create an airtight, waterproof seal between your crawl space and the cold or humid air outside. Installing an EverLast™ Crawl Space Door in your home is a fast and easy process, and it's usually done within the hour. One installer will put your crawl space door in place while the rest of your crew completes the crawl space repair. Call us for a free crawl space fan quote today! 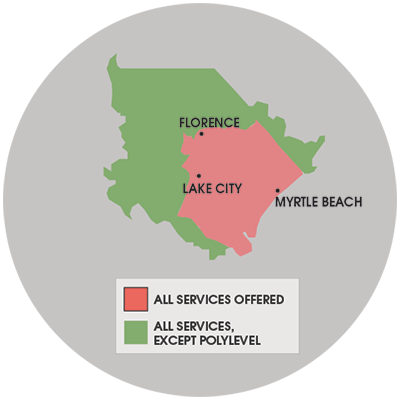 We serve Camden, Florence, Gaddysville, Loris, Marion, Myrtle Beach, Rembert, St. Matthews, Sumter, Tradesville, Trio and many nearby areas in North Carolina & South Carolina.